Find a comprehensive list of reputable Skrill (Moneybookers) online casino deposit sites. Create an account at online casinos that accept deposits with Skrill and play your favorite casino games. Skrill, formerly known as MoneyBookers, is a global UK-based online platform which allows making payments over the Internet. Skrill offers both individuals and businesses to send or receive online finance. 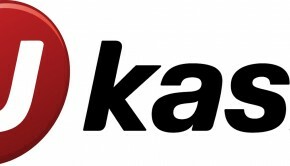 It’s owned by Skrill Limited and licensed to function within the European Union. Skrill is a safe method to transfer money without re-entering financial details each time you want to send money or make a purchase. Skrill is very easy to use. It is required to have an account on the official website of Skrill. To send money, all that is needed is an active e-mail addresses of the sender and the recipient and enough money in your Skrill balance. 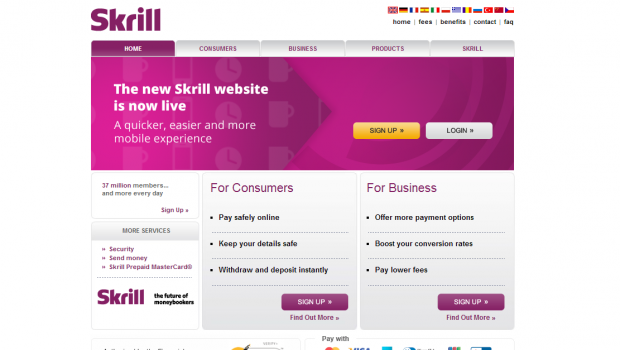 Compared to PayPal, Skrill is pretty similar, considered the European version of the American online payment platform. Skrill is also a bit cheaper than PayPal. Skrill is one of the major online payment companies, used by over 200 countries worldwide. It provides customers with over a hundred safe payment options to make financial transactions without exposing personal financial details. 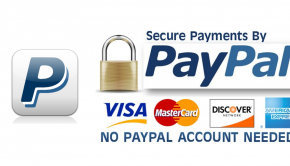 It is also considered one of the most inexpensive methods for online payment. It allows transferring money in 41 different currencies and is compatible with major debit and credit cards, such as MasterCard, VISA and American Express. The company was founded in 2001 in London and so far there are three offices, situated internationally – the main one being in London, one in Sofia, Bulgaria and another one in New York. Skrill has about four hundred employees who work hard to maintain the platform’s standards and security. Creating an account in Skrill is necessary in order to use the platform. Signing up is very easy and it only takes a few clicks to create an account. You can choose between opening a personal or a business account. Then you have to register your e-mail address, enter personal and financial data. You can go through a simple identity verification process which is optional. Skrill works with many major currencies. It’s important to choose your account’s currency because once you have made your first transaction, the currency can’t be changed anymore. There is a limit of four e-mail addresses that can be registered per account. If an account hasn’t been used for over a year, Skrill charges a small inactivity fee. Customers can also purchase a pre-paid Skrill card, which is linked to their account. The pre-paid card supports four currencies – Euro, American dollar, Pound Sterling and Polish Zloty. Making a payment via Skrill is very easy. To send money, you simply have to log into your account, enter the amount you want to send and the e-mail of the recipient. To withdraw money from your Skrill balance to your bank account, you have to enter the amount and confirm the transaction. 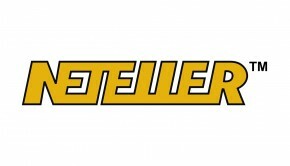 There is a small fee, which depends on the type of withdrawal. You can choose between a few options, such as ATM, bank wire to primary or secondary bank account and debit/credit card withdrawal. Skrill comes with many advantages. Sending money costs only 1% of the sent amount but the maximum fee is 10 euro. Paying at shops, receiving money and uploading money to your own account is free.